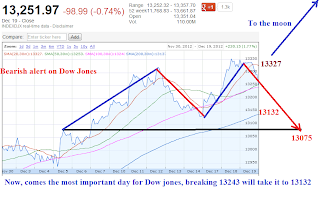 Tomorrow is big day for Dow jones, as congress will be voting on Boehner Plan B, if it is rejected, then congress have friday to do something and pass something. But the hope is fading. Also, US will hit its 16.394 trillion debt limit. So its going to be big event. Today, Fitch warned about another downgrade. Soon S&P and Moody will follow. Premaket earning : $CAG, $CCL, $DFS, $DRI, $KBH, $KMX, $RAD After close: $FCEL, $MU, $NKE, $RHT, $RIMM, $TIBX. 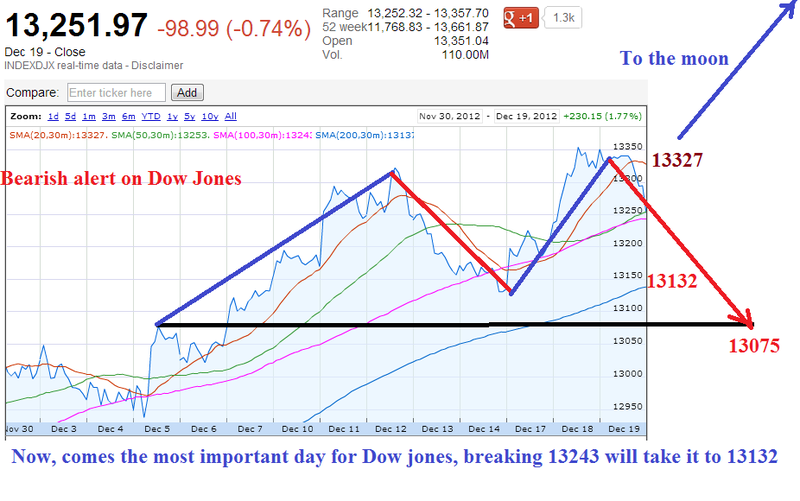 Dow jones chart expected to open lower tomorrow.